The US had supported Chang Kai-sheck's Nationalists in the Chinese civil war, and did not have diplomatic relations with the Chinese Communist government. Neither did China have a seat at the UN. China sent warning that if UN forces crossed the 38th parallel, she would come into the war. But, the warning was necessarily indirect, coming through the Indian ambassador. Without a doubt this led to some confusion in the minds of our political and military leaders as to China's true intentions. Certainly the euphoria of apparent total victory contributed to our overconfidence ... particularly victory over the barbaric North Koreans who had slaughtered tens of thousands of South Korean civilians and ROKs, and hundreds of UN forces who had been taken prisoner. Their hands had been tied behind their backs, and then they had been shot, or simply bludgeoned, to death. Scores of other Americans were being ambushed, captured and murdered by NK guerrillas in places like Ich'on. Revenge against bestial murderers like these would be sweet. But China was just emerging as a communist power, and wanted to test her strength on the world scale. She had also resolved to keep North Korea as a buffer between the West and the open expanse of the Manchurian plains. As UN forces became separated in pursuit of the retreating PLA, with Eighth army attacking in the north and west, and X Corps in the east, the Chinese marshalled their fighting forces, and moved weapons and supplies into the central mountains, behind the advancing UN troops. They moved tens of thousands of infantry into position, as well. In spite of UN air surveillance of the Yalu, China made these moves unobserved. The accomplishments of the CCF (Chinese Communist Forces) against an army which was far better armed, and which enjoyed total air supremacy, are truly remarkable. Although the NK had been well armed by Russia, and carefully prepared for their invasion of the South, the CCF were so ill-equipped to challenge a modern army that it is almost understandable why our Far East Command initially thought they were an ineffective rabble of "volunteers". Armed with a bewildering mixture of British, US, Japanese and other weapons, presenting an incomprehensible logistics problem, without heavy artillery or tanks, and no air power, it was difficult for high command to take them seriously. Plus, they gave no obvious sign of their entry, let alone their large numbers, until they first attacked. Trained and battle hardened in guerilla warfare, the CCF carried none of the baggage of a modern army. Masters of concealment, they moved and fought best by night. Wearing thick, padded, green or white uniforms, caps with a red star, carrying a personal weapon, grenades, 80 rounds of ammunition, a few stick grenades, spare foot rags, sewing kit and a week's rations of fish, rice and tea, their working day began about 7 pm. They marched until about 3am, then prepared camouflaged positions for the day. Only scout units moved during daylight, to determine routes for the next night's march, and they were ordered, under penalty of death, to freeze motionless if they heard aircraft. Their only heavy weapons were mortars, but they came in increasingly vast numbers. The CCF didn't begin seriously fighting until October 25, when it crushed the ROK 6th Division in an attack that increased and lasted for 10 days, further smashing back our 1st Cavalry Division with the ROK units. In the east, the 7th Marines had our only successes, in relief of battered ROK units at the Sudong Gorge, 30 miles below Chosin. The 7th killed around 1500 Chinese, destroying the fighting capability of the CCF 124th division in a brutal 3-day battle. 1stMarDiv commander General Smith had been determined that the Marines would be successful in their first battle with the CCF, which they were. But the 124th was only one division in the CCF 42nd Army. General Smith wondered where the other two divisions were. This probing first CCF strike effectively ended the Eighth Army offensive, for the moment. At this point, understanding High Command's actions becomes difficult. The CIA was the source of global Intel, and MacArthur was expected to act in accordance with the CIA analysis. That had been faulty until now, mis-reading the potential for North Korea invading the South in the first place. Now, the CIA and the JCS felt China would not come into the war without Soviet approval, which they felt would not happen since the Soviets would not risk a global nuclear conflict, and so MacArthur was left in ignorance of the Intel that would have alerted him to their true intent. Unaware of the CIA's error, MacArthur had sent 8th Army toward the Yalu at top speed, sacrificing preparation for haste as at Inchon, to complete the destruction of the North Korean armies before China could get permission to act. In the event, China was not at all a Soviet puppet, and had begun entering North Korea in force on October 18, and 8th Army was racing into a well prepared trap by powerful veteran army. 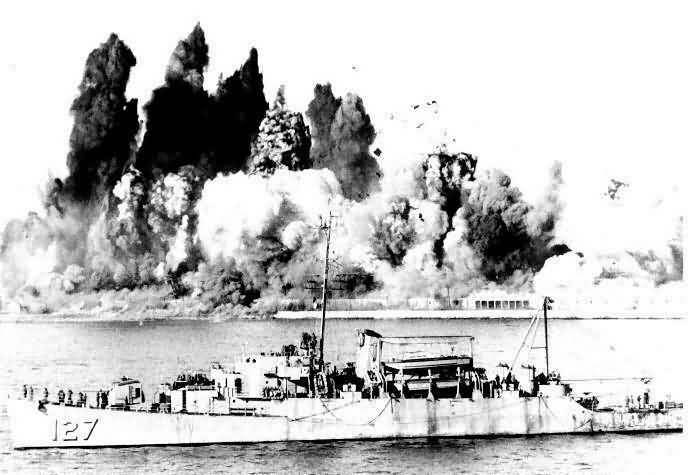 After China's initial attack, it might still be possible to deny that there was sufficient evidence to indicate China's entry into the war in force, but not to deny that they were entering it at all. Granted that combat reports were sometimes conflicting, and that the CCF tried to confuse their strength by giving false unit names to their divisions. Nevertheless, they had come in sufficient strength to hammer Eighth Army while they chose to fight them, and clearly could come in hundreds of thousands, if they wanted to. Whatever errors of judgment the CIA and JCS had made, China had definitely made a statement on the battlefield, which should have been carefully evaluated by the armies on the field. A basic military mandate is to prepare for what the enemy is capable of doing, not what you think he might do. That's the difference between sound tactics, and a gamble. Growing daily more optimistic because of Chinese inactivity, and without Intel otherwise from the CIA, Far East Command ordered Eighth Army and X Corps to stage for an assault to "End the war by Christmas." But, the Chinese had only withdrawn to replenish their supplies, continue their build-up, and assess the lessons they had learned. Their successes in the west had been accomplished with only units of 3 Field Armies, and had given them great confidence based on detailed information of Eighth Army strengths and weaknesses. When Eighth Army began its "Home For Christmas" assault, The CCF was ready. Total UN strength was about 250,000 men, plus a huge advantage in tanks, artillery, aircraft and ships. Facing Eighth Army was the CCF 13th Army Group, of about 180,000 men. In addition, effective NK strength had again grown to about 100,000. In the east, the CCF faced X Corps with Song Shilun's 9th Army Group, consisting of 4 armies, of 12 divisions and about 120,000 men. One of the lessons the Chinese had learned was from the only defeat their first probes had undergone, the destruction of the 124th division by the 7th Marines. The main objective of the entire 9th Army Group was the destruction of the 1st Marine Division. On Friday, November 25, following a tremendous artillery barrage, Walker's Eighth Army jumped off from the Chongchon River. To reach the Yalu, and end the war. The Marine assault from Yudam-ni was delayed until November 27. Eighth Army's advance seemed to go well, for a day. Opposition was so light, and the desire to reach the Yalu and end the war so great, that General Walker's divisions were speeding along without protecting their flanks, or maintaining artillery support capability for advanced units. On the night of November 25-26, the CCF struck. In the east, the 1st Marine Division and the 31st Regimental Combat Team were locked in vicious battle against enormous odds. In retrospect, China made the same mistake MacArthur had made earlier. She could have re-established North Korea on the Internationally accepted boundary of the 38th Parallel, by force of arms against the US and the UN. This would have been a near-incredible military and political victory for the emerging Communist nation, and one which would have been accepted by the entire rest of the world. China could easily have forced North Korea's leader Kim Il Sung to accept a return to peace, at very least under an Armistice agreement which would have been a victory for him as well. Instead, flushed with their easy victories, seeing a possibility of throwing the West entirely out of Korea by force and uniting it under their North Korean satellite, China moved its own armies south of the 38th. What would have been an acceptable defense against threats to its Manchurian borders became simple aggression. A great military and political victory, already accomplished, became an invasion of an already savaged peaceful country. Ultimately, it led to China losing the victory it had already won, and causing millions of additional casualties for all sides in a bloody extended war. A war eventually ended on a battle line mostly in North Korea, and much more defensible than the politically determined line along the 38th parallel. And an armistice much more militarily secure for South Korea than China could have so easily forced on us, simply by stopping military action when she reached the old borders. UN troops who fought for the UN in these campaigns generally fought with great bravery and determination. Notably the British, and Australians. And the Turkish Brigade, badly deployed, virtually without effective communications to adjacent units, almost totally wiped out in the initial Chinese attacks. In all honesty, this can not be said of the Eighth Army as a whole. Inexperienced garrison troops to begin with, unprepared by training or psychology for the savagery of infantry combat, they in general performed very, very poorly. All too often, they lacked the ingrained skills and combat discipline of effective infantry combat units. Specifically, they frequently failed to study the terrain about them, and use it to their advantage. They were largely road-bound, without guaranteeing the security of their flanks. They failed to routinely control the high ground menacing them and their supply routes. As small units, they too often lacked the mind-set and basic combat techniques, and the resolution, essential to effective ground combat. Although individually often quite brave, as groups they frequently retreated without even fighting. In many cases, they abandoned all their heavy weapons in defensible positions. Eighth Army virtually fled from the Chinese army, veterans of their fierce Civil war, whose strengths were not fire-power but rather mobility, deception, surprise, and determination. CCF weaknesses, in many cases, became strengths because of their unfamiliarity to our forces. Their guerrilla war against the Nationalists had tightly disciplined the CCF, and accustomed them to movement and attack at night. This protected them from our air supremacy and made us fight on our least familiar terms. Instead of radio communications, below the regiment level the CCF used bugles, whistles and colored rockets. This wild accompaniment to massed night assault behind a rain of eerie green tracers helped greatly to psychologically undermine the resistance of our forces. Our 24th Infantry Regiment (25id) had coined the term "bug-out" as a tactical objective when facing potential combat, and bug-out describes much of our Eighth Army actions until CCF logistics became too extended for them to keep chasing us. In reality, when once accepting the need for combat, Americans have always been very dangerous fighting men. When lead by competent officers up with their platoons and companies, when toughened and guided by experienced NCOs, when integrated and fighting as common teams, American troops are equal to anyone. With our greater firepower, and its greater range, we were fully capable of breaking up and then destroying the CCF assaults. We later proved this when we counter attacked and once again drove past the 38th parallel, inflicting terrible casualties on the enemy. When we did re-organize and strike back, our surge through and over the CCF was only halted for political reasons (hopefully wisely, but a question even today). This resulted in the formation of the MLR and a series of vicious small-unit battles during the prolonged stalemate of armistice discussions. We did have the Right Stuff, but we needed to re-learn how to develop and use it. "The U.S.Army relies for its main power in combat on the shock effect of coordinated armor and artillery ... and their air-to-ground attack capability is exceptional. But their infantry is weak. Their men are afraid to die, and haven't courage to either press home a bold attack or defend to the death. They depend on their planes, tanks and artillery. At the same time, they are afraid of our firepower. They will cringe when, in an advance, they hear firing ... Their habit is to be active during the daylight hours. They are very weak in attacking or approaching an enemy at night ... They are afraid when their rear is cut off. When transportation comes to a standstill, their infantry loses the will to fight." This seems to have been an accurate assessment of most of our Army, at that time and place. But it led to China making the terrible error of allowing the sweet scent of easy victory in the northwest to send her armies crashing over South Korea's legitimate borders, toward an apparently easy total victory. But ... Americans who were properly trained and conditioned for combat were a different problem altogether. The fighting withdrawal of our 1st Marine Division from Chosin should have given the CCF much more to think about than it apparently did, in understanding the limitations of pitting massed troops against vastly superior fire-power, when that power was exercised by competent fighting men. Eighth Army's recovery and eventual crushing counter-attack back across the 38th might have been inferred from 1st Mar Div's actions because ... our Marines were superb. On November 30, X Corps ordered the Marines to withdraw. So began an incredible breakout and 13-day fighting retreat by about 20,000 troops, spread out loosely over a narrow, mountainous, one-lane supply road, covering about 78 miles to the Sea of Japan and Hungnam. For the first 35 miles, from Yudam-ni to the Army's 3rd Infantry Division positions at Chinhung-ni, the Marines were on their own, battling continuously with 10 CCF divisions. The 1st Marine Division took full advantage of its artillery and air support ... but it also time and again fought the Chinese man-to-man, hand-to-hand, night and day, while cut off from the rear and with transportation at a dead stop. In the bitterly cold, sub-zero winds of Chosin, as in steaming jungles of an earlier war, the Marines never lost their will to fight, or their capability of fighting effectively. Heavily outnumbered, the Marines successfully defended against every attack, and in turn successfully attacked the Chinese wherever they had cut off the MSR. The Marines not only fought their way out, they brought out their wounded, and most of their dead and equipment. In the map below, key features of the tortuous, hill by hill struggle out of the entrapment are shown. It was a remarkable achievement, by any standards. Chosin was a major defeat.We were driven from the field of battle. Of the 25,000 of our troops who faced the 120,000 Chinese at Chosin, 6,000 were killed, wounded or captured, and at least 6000 others suffered frostbite. During their 13 day walking battle back, 1st Mar Div suffered 718 dead, 192 missing and 3,508 wounded, plus their frostbitten casualties. But the Chinese paid a terrible price for their victory. Marine records say they killed 25,000 Chinese and wounded 12,500 others. The Army estimated an additional 5,000 Chinese casualties. In addition, an estimated 30,000 Chinese were frostbitten. Thousands of Chinese studded the mountains of Chosin, squatting with rifles slung on their shoulders, packs slung on their backs, sheathed in snow, frozen to death. 72,500 casualties in toto, 60% of their 120,000 man army, to defeat 25,000 of our troops. These figures may show the true significance of the Chosin battle. Had the CCF, i.e. Mao, not attacked 1st Mar Div at all, but only placed a few divisions in blocking positions along the exit end of the one-lane road through the Taebaek mountains, they might have won all of Korea. Once Eighth Army broke and began their precipitous retreat the uncommitted 100,000 troops, instead of being killed or wasted in the frozen wilds of the Taebaeks, would have been free to continue the CCF assault when it later slowed down. The over-extended 1st Mar Div would have been withdrawn anyway, for obvious tactical reasons. With such a large, fresh supply of reserves, the CCF might well have again defeated Eighth Army when they finally made a stand, and continued on to take Pusan. In 1951, 1st Mar Div went on to cripple another NK division around Pohang-Andong, spearhead Operation Killer, fight in Operation Ripper and also the Punchbowl, and were assigned in 1952 to the Jamestown Line defending the approaches to Seoul. (Incidentally protecting 606th AC&W Squadron at Kimpo, where I returned to Korea in '52 as Radar Field Engineer, supporting F-86 interceptions in MiG Alley). The 10 CCF divisions which directly engaged the 1st Marine Division in Chosin were completely used up. They never saw action again during the Korean War. One stark confirmation of the terrible losses suffered by the 4 CCF armies was that they were unable to follow our retreating forces and threaten our retreat from Hamhung-Hungnam. Although we supported the withdrawal with massive air and sea power, with 3id positioned as rear guard, had the Chinese been strong enough to attack us effectively there, X Corps might still have been lost. As it was, the CCF was grateful to stay back, re-group, and observe. When the division finally got to Hungnam, they found Our Navy waiting. The 1st Division will probably never forget Admiral Fletcher at Guadalcanal, but at Hungnam our Navy boarded them all, just part of our evacuation of 105,000 troops, and 91,000 civilians who would have been added to the list of murdered had they stayed behind. Defeat or whatever, the fighting withdrawal of the 1st Marine Division was one of the proudest actions in the history of the entire Marine Corps. More, it shows what all Americans are capable of, when properly trained for combat, and properly led. Personally, I have always thought that the two weeks the Marines spent circling off Wonsan in what they derisively call "Operation Yo-Yo", while we cleared the mines menacing their landing, saved the 1st Division, probably all of X Corps, and possibly all of Korea. Had 1st Mar Div been ashore earlier, General Almond would surely have sent them into the Taebaek mountains earlier, and into them further, to link up with Eighth Army's right flank. That would have been the ROK II Corps. When the Chinese smashed through the ROKs, exposing Eighth Army's right flank, the Marines would have been exposed, as well, and far more extended. More, the CCF foot infantry would have been far less extended into the murderous frozen wastes, in trying to encircle them. The Marines barely made the 35 miles of their retreat from Yudam-ni to Chinhung-ni. Had they been stretched over another 35 miles of Taebaek mountains, it might well have been 35 miles too far. Had they even just had time to begin their attack from Yudam-ni on November 25 instead of the 27th, they might have penetrated inescapably into the Chinese ambush. The CCF might have been able to entrench their forces at the key MSR bottleneck of Toktong Pass (so valliantly won and defended by Fox company), and divide and attack the 7th and 5th Marines and their artillery separately and destroy them, and then the 1st Marines, piecemeal. Had the 1st Marine Division been crushed without desperate loss to the CCF, Hungnam would have fallen, and the rest of X Corps would have been rolled up like a carpet. Had these 120,000 troops then been available in the south, the CCF might well have continued on to force Eighth Army all the way out of Korea. The 3rd Infantry Division, supported by Naval gunfire including the nine 16" guns of the USS Missouri, were the last major UN forces evacuated from Hungnam, as shore installations were destroyed. My own ship Wantuck, APD 125, had led the way by landing troops from 3/5 at Inchon. Our squadron mate Begor, APD 127, helped X Corps safely withdraw at Hungnam. We were the first and the last. Now, the job for all of us was to get back to the 38th, and stay there. On December 23, General Walker was killed in a vehicle accident. On January 15, new commander General Ridgeway sent our troops back through Osan and Suwan. On January 25, I and IX corps slaughtered Chinese in a 20-mile swath, and once again reached the Han River. The tide had turned once again. In May, 12 full-strength Chinese divisions, supported by 40,000 North Korean troops, attempted to destroy the US Second Infantry Division in an assault on the scale of Chosin. 2nd ID was well dug in, behind fields of mines and barbed wire, and held fast although the hard-hit ROKs fell back and exposed 2id's right flank. They were supported by the French and Dutch Battalions, their tank battalions, five battalions of massed artillery, B-26 bombers, their right flank was re-occupied by the the 3rd Division, and the 1st Marines protected their left flank, enabling full use of their 9th Infantry Regiment. The result is known as the May Massacre. On May 19, in one eight minute period, more than 2,000 rounds of artillery were fired in front of one company alone, "K" Company, 38th Infantry. By June 5, during 20 days of continuous fighting, the Indianhead Division and its supporting UN battalions crushed the cream of the armies of Red China. Ten enemy divisions had been committed against the 2d Division with soldiers from an additional 2 communist divisions identified among the thousands of dead who littered the battle-field. Evidently the Chinese high command had not learned the key lessons from Chosin: Marines or Army, when American fighting men are well trained and led, and personally committed, they are the equal of any in the world; and sending lightly armed foot soldiers against determined troops, entrenched, supported by the might of modern armor, artillery and air power, is little short of murder. The UN established a defensible line, mostly north of the 38th parallel, and settled into a vicious but relatively stable Main Line of Resistance while truce talks slowly ground their way to agreement over the next two years. On July 27, 1953, the fighting finally stopped.